Baby teeth should not only be a precious commodity to the tooth fairy, but should be valued by both the children and parents. Way too often parents dismiss the need for comprehensive dental care for their children’s baby teeth.“Baby teeth are just going to fall out anyway,” is often the mindset of parents that lead to damaging dental problems: lack of good brushing and flossing habits, not taking child to dental visits until school age and decay may already be rampant, and dismissal of the need to restore decayed baby teeth that have been diagnosed. The fact is that baby teeth set the stage for adult teeth. 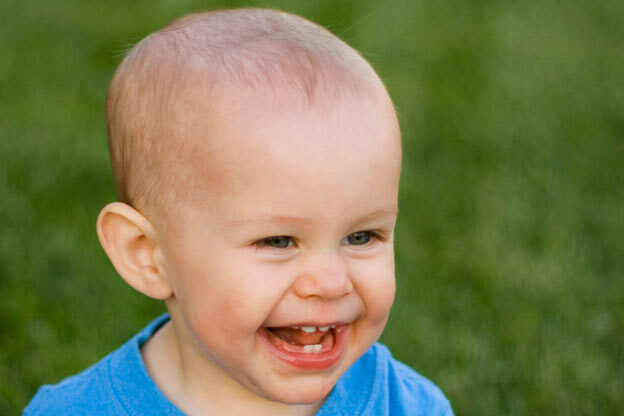 Maintaining the baby molars and incisors aids in holding spaces and paving the pathway for permanent teeth to erupt. If decayed teeth are not restored, they can lead to infection and the need for premature extraction of the baby tooth. The space left after the extraction will close and cause the adult teeth to be trapped under one another. Early loss of baby teeth can also cause erratic eruption patterns that lead to crowding and an unflattering smile. These misaligned teeth can also have a great bearing on speech patterns. If a decayed and infected baby tooth is not dealt with, the infection can cause the underlying and still developing permanent tooth to become scarred or deformed. Untreated decay inbaby teeth can end in pain for the child, not only physically but mentally as well. It can cause crowding of teeth that leads to a self-conscious child who is too ashamed to smile. Speech problems due to crowding can cause a child to withdraw from communicating with others. These imperfections can have a large impact with a child’s self-confidence and social skills. For parents, taking care of decayed baby teeth early with restorations is less expensive than correcting the problems down the road. Crowding can lead to food traps between the teeth, which leads to more expensive restorations on permanent teeth. Though braces can correct most crowding issues, the expensive investment in braces may not have been needed with the simple treatment of a baby tooth with a filling. Don’t help the tooth fairy. Take care of the baby teeth and only put them under the pillow when they fall out on their own.